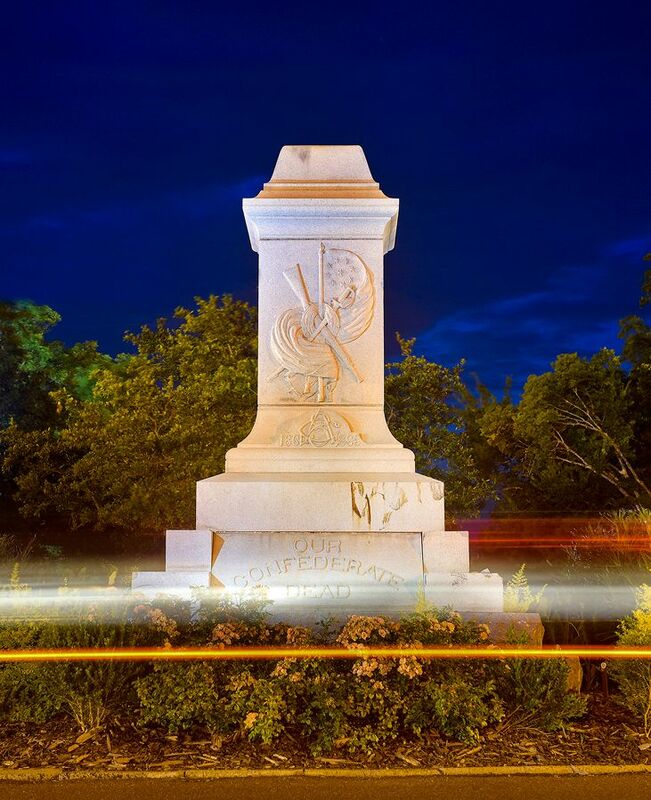 For a century, a Confederate statue had stood without controversy in this half-white, half-black Alabama town, said journalist David Montgomery. When a car crash toppled the memorial, residents had to make a decision. ABOUT 3:30 A.M. on a Saturday in July 2016, an on-duty patrol car with the Demopolis, Ala., police department proceeded along North Main Avenue toward West Capitol Street. It was a clear night, and nothing much was going on. There hadn’t been an arrest for two days, and that had been for misdemeanor theft from a supermarket. A sign at the outskirts of Demopolis announces “City of the People,” a translation of the town’s name from the ancient Greek. 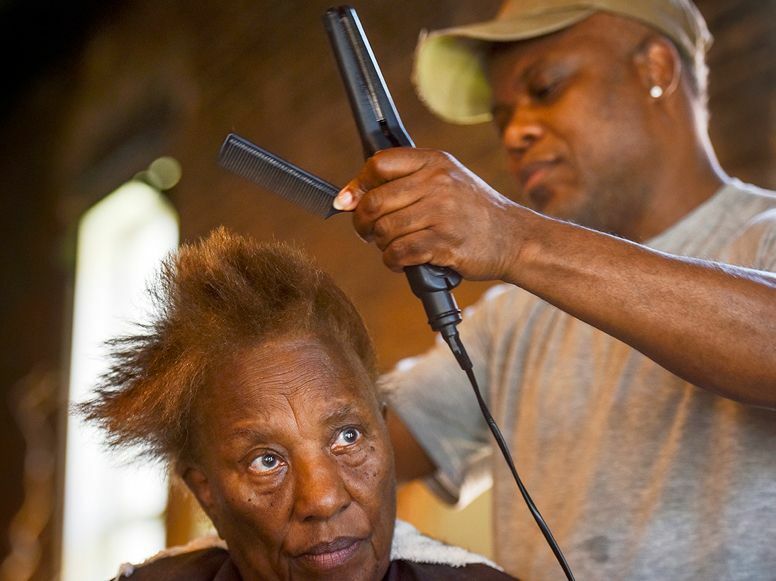 The population numbers 7,020—50 percent black, 47 percent white. This is the western part of Alabama’s Black Belt, so named for its rich soil but also intimately associated with the enslaved people who worked the cotton fields, then stayed on as free tenant farmers, and whose descendants drove the struggle for civil rights. Following the crash, the lieutenant on duty woke up Chief Tommie Reese, who responded to the scene. Reese, 52, who is black, wanted to get the facts out as soon as possible, before conspiracy theories could propagate. The car and statue were removed quickly. As a consequence, few pictures circulated on social media, which unintentionally fueled speculation. By morning, “it was already spiraling out of control” on the internet, he said, spurred in part by people from other parts of the country. A leading theory was that the officer was black and had been paid to take out the statue. The white side of town was conflicted. There was a faction that saw an opportunity to tell a new story about Demopolis, and another that wanted to dig in to defend an older version. Confounding the battle lines was one fact that everyone, black and white, could agree on: Until that Saturday morning a year ago, the soldier had stood guard almost entirely without controversy. Nobody protested him, nobody celebrated him. It was only after he was gone that he mattered. Within days Reese announced the findings of an internal investigation, based on drug and alcohol tests, security camera footage, and GPS data: The officer fell asleep at the wheel. To protect the officer’s safety, Reese refused to release his name—or his race. Now Demopolis faced a dilemma. 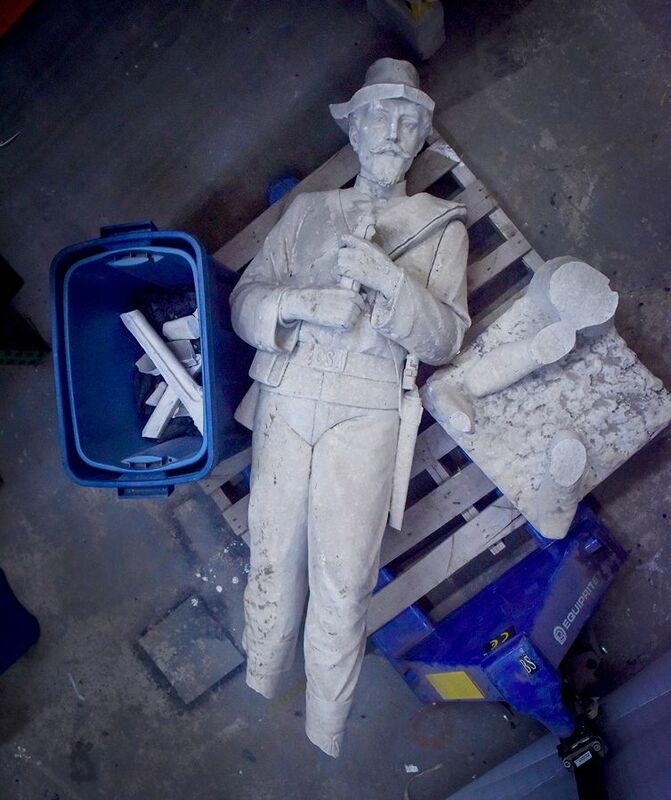 As cities around the country wrestled with whether to take down their Confederate monuments, Demopolis had to decide whether to put its soldier back up. THE SOUTHERN POVERTY Law Center counts more than 700 Confederate monuments and statues on public property, mainly across the South. The push to remove or rethink them gained momentum two years ago, when Dylann Roof, who killed nine parishioners in a historic black church in Charleston, S.C., proved to have a fondness for Confederate iconography. Demopolis’ statue was erected in 1910, during a wave of post-Reconstruction Confederate memorialization that produced most of the monuments in contention today. Groups such as the United Daughters of the Confederacy led the effort. It was a time when Southern whites were reasserting their supremacy following a burst of African-American empowerment after the Civil War. This January at a council meeting was when the community’s conversation about the statue began in earnest. More than 40 people attended, and the council members and mayor sat around an oval wooden table. African-American men represent two districts that are predominantly black. White men represent two districts that are predominantly white. A white man represents an evenly split swing district. John Laney, who is white and had been elected mayor several months earlier, has the sixth vote. One by one, people approached the table to argue for and against the Confederate soldier. Chief Reese had posted extra officers, but they weren’t needed. As strong as the convictions were on both sides, they were expressed in a tone of mutual respect. “We are the City of the People, and that’s all people, not just one people,” said a woman against the restoration. But whose history would hold sway? At the end of the evening, the council decided it was not yet the time to decide. The members voted unanimously to reconvene a committee of civic and business leaders and direct it to mull the matter for a few more months. DEMOPOLIS WAS FOUNDED 200 years ago by fugitive French comrades of the exiled Napoleon, and it was named for a democratic ideal. 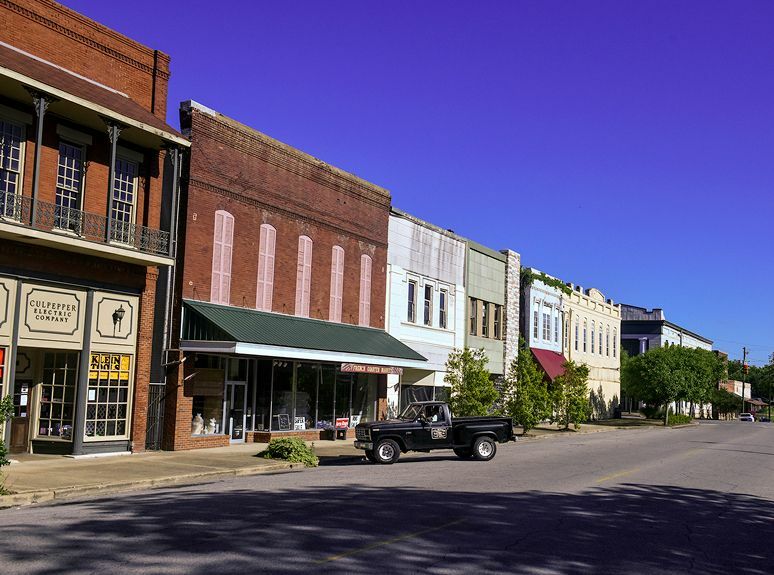 Residents take pride in the fact that, during school desegregation in the middle of the 20th century, Demopolis distinguished itself from many of its Black Belt neighbors. Black children and white children were funneled into the same schools, and the habit took. Today, Demopolis High School’s student body is roughly as balanced as the population of the town. Progress in Demopolis has been complicated, though: As recently as 2003, students at the high school attended separate proms. Black students would go to the sanctioned school prom; white students would be invited to a private spring formal. Yet current students can’t imagine such a practice. Instead, together they dance the night away. Not only is the police chief African-American, so are his two predecessors, and the force is racially balanced. The fire chief and the building inspector are black. The first elected African-American district attorney in Alabama history, in 1992, was a lawyer in Demopolis. And yet, when Jones was pondering a run for mayor in the last election, he hesitated, even though he had already printed some campaign literature. Demopolis has never had a black mayor. “I sensed that the town wasn’t really ready,” he said. It represented “bigotry,” said Annye Braxton. The Spences, who are white, made a point of telling me that that afternoon their nephew and some African-American teammates on the high school football team had been over to swim in the backyard pool. After dinner, Phillip, 63, an Air Force veteran, sifted through old photos of the monument. “Taking down the monument, to me, is equivalent to going into a cemetery and kicking over a headstone,” he said. FINALLY, IN LATE April, the City Council took up a proposal: Demopolis would carry on without its Confederate statue—but with a twist. The soldier would be replaced by an obelisk inscribed to the memory of the dead in all wars. The soldier would be placed in the Marengo County History and Archives Museum. The roll call proceeded briskly. The two white council members from white districts voted against the proposal. The two black council members from black districts voted for the proposal. Harris Nelson, the white swing district representative, also voted for the change. Mayor Laney abstained. By a vote of 3 to 2, the Confederate statue was consigned to history. Today, the Confederate soldier is in limbo. In May, Alabama’s Republican Gov. Kay Ivey signed a bill forbidding the altering of any public monument older than 39 years. The council had little choice but to seek an opinion on the new law’s impact from the state attorney general, which is pending. Before I left the Black Belt, I found the officer who toppled the soldier and set Demopolis on its path of self-examination. He’s no longer employed in town. He is African-American. He said the accident happened the way Chief Reese reported: He fell asleep. “I hate that it happened,” he said. “Regardless of what I say, nothing is going to change. I’d rather move on.” And so would Demopolis.